Ms. Hill combines her advanced early childhood education and extensive dance background to do what she loves best: To teach young children to dance and experience joy in movement. Dance has been a part of her life since the age of 3, and as a child and teen, Carrie had the opportunity to study in both Europe and the United States. Carrie was awarded her Bachelor of Science degree in Finance & Economics from Texas Tech University, and then followed her passion for teaching young children through extensive early childhood education from Central Texas College and Master of Education coursework from Northern Arizona University. Along with her classical dance education expertise, she brings to Ballet Rincon eight combined years of academic experience in teaching young children as a Balanced Literacy Specialist for the Tucson Unified School District and the United States Department of Defense Schools-Europe. 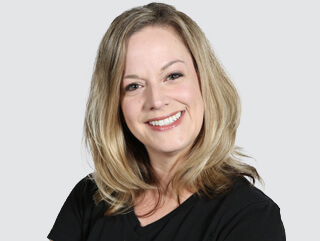 As BR’s Director of Preschool Programs since 2002, Ms. Hill used her passion for movement to develop the Division’s innovative ballet, tap and Preschool Movement Workshop curriculums, and she continues to sustain the foundation of BR’s training philosophy in our youngest students. With children of her own, she understands the importance of positive feedback and encourages students to feel successful in their dancing and confident in themselves.